Aims Health, Safety and Environment (HSE) is an integrated and convergence system and also a synergistic arrangement of human resources, facilities and equipment. It tries to create a healthy and pleasant environment to avoid accident, damage and waste. Staff’s perception of the existing job risks has a significant impact on their safety behavior at work. 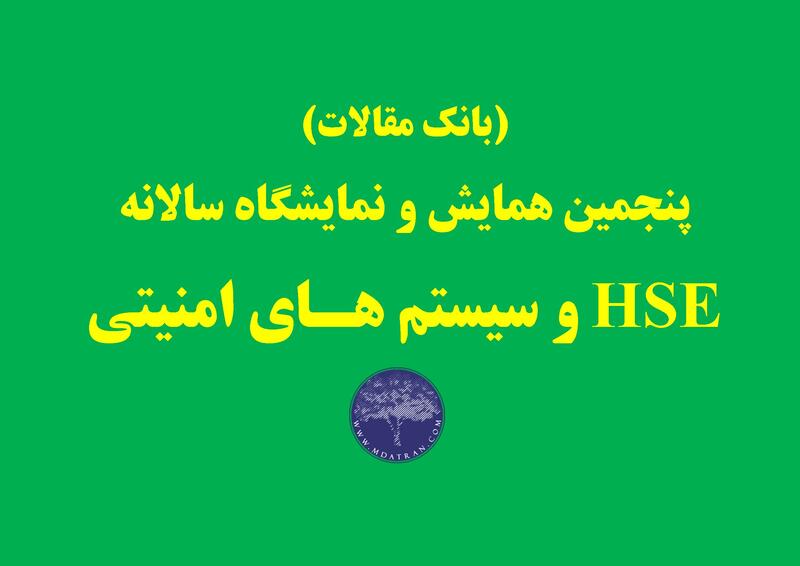 This study was conducted to determine the relationship between safety climate and staff’s perception of risk with an awareness level among employees of the HSE management system in oil refinery in Kermanshah. Instrument & Methods The study population was employees in one of the oil refineries in Iran. After designing and questionnaire psychometric assessment of staff knowledge of HSE management system (Cronbach’s alpha was 0.9 and its validity was assessed by certified professionals), Loughborough safety climate questionnaire and Flin risk perception questionnaire was used. Data analysis was performed using SPSS V22 software. Finding The relationship between safety climate and awareness level of the HSE management system; also the relationship between safety climate and perception of risk was also getting significant. However, the relationship between perception of risk and awareness level of the HSE management system was not significant. Conclusion The results of this study showed a moderate awareness of HSE Management System in refinery workers. In this regard, appropriate and proper management policy should strive to improve the situation. The results of this study present a profile of the safety climate situation and the perception of risk in the surveyed refinery.